Isn’t Feast of Trumpets in the Fall? Looking at the calendar for the Fall Feasts, Yom Teruah, which is Hebrew for Feast of Trumpets, fell on September 9th-11th in 2018. There’s only one problem… that date is still in Summer, not Fall. Fall doesn’t begin until September 22nd. 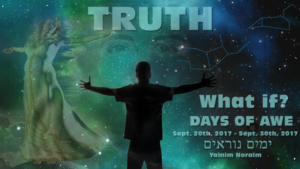 So if Yom Teruah is supposed to coincide with the sighting of the crescent of the first new moon in the Fall then the date would have to be October 8th-9th, not September 9th-11th. Is it possible that the Jews made such a mistake when reinstituting their calendar? What do we know for sure? From Exodus 12:2 we know that God told Moses and Aaron that Nissan is the first month when Passover would be recognized. We also know from Leviticus 23:23 that the Feast of Trumpets would be in Tishrei which is the seventh month. Simple, right? Not really. Another possibility of how the calendar could be off is related to the Jewish leap year which adds a 13th month called Adar II or Adar Bet which occurs every 19 years to account for the difference between the Jewish 360-day lunar calendar and the Gregorian 365.25 day Solar calendar. This is the Jewish year 5779 which happens to be just such a leap year. Adar and Adar Bet roughy correspond to March and April. So can you now see how adding a thirteenth month can push dates on the calendar out thirty days? To reiterate, while many of us believe that the Rapture of the Church will take place on Feast of Trumpets, and while many of the pre-tribulation indicators are flashing red, this is not an attempt to set a date and never has been. Someday soon there will be a trumpet blast and shout from above calling all true believers to ‘come up here’. Until then, we will continue watching, warning and waiting for our Blessed Hope. Maranatha! Although the word ‘rapture’ does not appear in English translations of the Bible, it is a term commonly used in associations with events which relate to the Second Coming of Jesus Christ. The meaning of the idea behind ‘the Rapture’ is to be ‘caught up’ or ‘snatched out’ by Jesus who will first come to take away the ‘saved’ to heaven just before the beginning of a 7-year period of time known as ‘The Time of Jacob’s Trouble’, ‘The 70th Week of Daniel’ or ‘The Tribulation’. The true, faithful believers will disappear in the “twinkling of an eye” as they are transformed into their new, perfect, complete spiritual bodies in an instant before being caught up to Heaven by Jesus. The sudden absence of millions of people, will, of course, not go unnoticed on Earth. There will be mass confusion and disruption of ordinary life. At the beginning of the Tribulation, the identity of the antichrist will be revealed as the one who confirms a peace treaty with Israel. Non-believers will be left behind to face severe tribulation as the antichrist rises in power and takes on the role as the Beast who is Satan incarnate and proclaims himself to be god while requiring all people on Earth to worship him. The second half of the seven year Tribulation is known as ‘The Great Tribulation’. Although the Church will be absent during this time, new Christians, who will be known as Tribulation Saints, will endure extreme persecution to the point of death by beheading. With the recent rise of ISIS in the Middle East one has to wonder if there isn’t an Islamic connection. Later, at the close of The Tribulation is when Jesus will return to the Mount of Olives in Jerusalem in triumph and glory to defeat the antichrist and his armies. It is at this point that His return is known as the Second Coming. This is the event when Jesus will victoriously return to conquer His enemies before establishing his millennial reign of Peace on Earth for a thousand years (the millennium) with His saints, the church. After the thousand years, the rest of the dead will be raised to kneel before their judge, Jesus Christ, at the Great White Throne judgment. They will then be separated from God forever after they are cast into the lake of fire, while the saved will live forever with Christ in a new heaven and earth (Revelation 19-22). 1) At the rapture, believers meet the Lord in the air (1 Thessalonians 4:17). At the second coming, believers return with the Lord to the earth (Revelation 19:14). 2) The Second Coming occurs after the great and terrible Tribulation (Revelation chapters 6–19). The rapture occurs before the Tribulation (1 Thessalonians 5:9; Revelation 3:10). 3) The Rapture is the removal of believers from the earth as an act of deliverance (1 Thessalonians 4:13-17, 5:9). The second coming includes the removal of unbelievers as an act of judgment (Matthew 24:40-41). 4) The Rapture will be secret and instant (1 Corinthians 15:50-54). The Second Coming will be visible to all (Revelation 1:7; Matthew 24:29-30). 5) The second coming of Christ will not occur until after certain other end-times events take place (2 Thessalonians 2:4; Matthew 24:15-30; Revelation chapters 6–18). The rapture is not precluded by any unfulfilled prophecy and is thought to be imminent; that it could take place at any moment (Titus 2:13; 1 Thessalonians 4:13-18; 1 Corinthians 15:50-54). Distinct Differences between the Rapture and the Second Coming are Important! 1) If the Rapture and the Second Coming are the same event, then the believers would have to go through the Tribulation (1 Thessalonians 5:9; Revelation 3:10). 2) If the Rapture and the Second Coming are the same event, then the return of Christ would not be imminent – there are many prophesied events which must occur before He can return (Matthew 24:4-30). 3) In describing the Tribulation period, the Church is not mentioned at all in Revelation chapters 6–19. 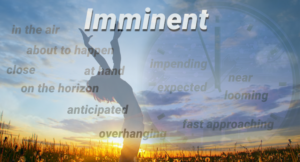 During the Tribulation, also known as “The Time of Jacob’s Trouble” (Jeremiah 30:7) – God will turn His primary attention towards the redemption of the remnant of Israel (Romans 11:17-31). The English word “Rapture” is derived from the Latin verb “Rapere” meaning “to carry off,” or “to catch up” or “catch away” or “pluck out”. The English word “Rapture” is derived from Middle French rapture, via the Medieval Latin raptura (“seizure, kidnapping”), which derives from the Latin raptus (“a carrying off”). The Latin Vulgate translates the Greek ἁρπαγησόμεθα as rapiemur meaning “we are caught up” or “we are taken away” from the Latin verb rapio meaning “to catch up” or “take away”. Harpazo : the English transliteration of the Greek word for Rapture. Pre-Tribulation or Pre-Trib: the Rapture event happens before the 7-year Tribulation, and is also known as ‘The Blessed Hope’. Two other lesser known and less popular theories are Pre-Wrath and the Partial Rapture theories. 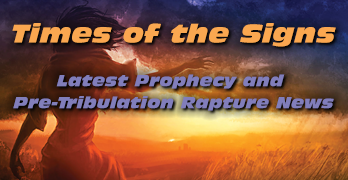 In Pre-Wrath the Rapture event happens after the beginning of the 7-year Tribulation, but before God’s wrath is experienced on Earth as detailed in the Book of Revelation. The Partial Rapture is a subset of Pre-Trib, in which ONLY spirit-filled Christians who are ready, watching, and waiting for Jesus will be rewarded by being raptured. The Rapture theory gained in popularity in the 1970’s due to books written by Hal Lindsey. In The Late Great Planet Earth Lindsey promoted the idea of an imminent Rapture based on the global situation at the time qualifying as the beginning of the fulfillment of biblical prophecy. Some speculate that many non-believers who are left behind after the Rapture will finally come to believe in Jesus Christ as their Lord and Savior as a result of the Rapture. The others who are left behind will persist in their stubbornness and disbelief, concocting theories to “explain away” the catalclysmic, supernatural event. 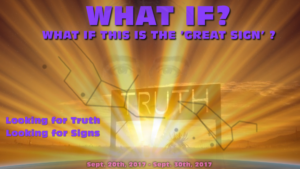 Some of these theories may be tied to the great deception spoken of in Revelation, possibly even having to do with claims of ‘alien abduction’ or a ‘natural, universal, evolutionary cosmic purging’ of the inferior, intolerant Christians. What is the Rapture Anyhow? The Rapture is an event where the groom comes to take his bride away, to be married to her forever. Seriously, that’s what it is. Only the groom is the Messiah, the Son of God, better known as Jesus or Yeshua, and the bride is not a single person, but all people who corporately believe in Jesus and trust him, male and female alike, living and dead. The bride is better known as ‘the church’. This supernatural event is not to be confused with the Second Coming, which happens after the Rapture, when Christ returns to defeat his enemies in Israel; namely the anti-Christ, the False Prophet, and everyone else who foolishly believes that they can fight and defeat God himself. The Rapture is a rescue story, known as the Blessed Hope…which is the hope that all believers have, or should have, that their Savior is coming to rescue them from hell that people who remain on Earth will experience for a 7 year period of time known as The Tribulation, if they even survive it, for 2/3 of all mankind will perish, either at the hand of the anti-Christ who will tirelessly persecute and work to exterminate both Jews and new converts to Christianity, or as a result of God’s wrath that is unleashed upon earth in biblical proportions; earthquakes, tsunamis, hail storms, fire, a meteor impact,war, even nuclear war, violence, disease, famine, wild animals and more. The Bible says if these days were not cut short all mankind would perish. The idea of the Rapture is often ridiculed and said to be something that it is not. Some people insist that the concept of the Rapture is not biblical as the word can not be found in the Bible. Others even get angry and defensive about which view on the timing of the Rapture is correct. While the word ‘Rapture’ itself is not in the Bible, it’s Greek equivalent is. You see, the New Testament was written entirely in Greek and later translated into Latin and English. The Greek word is ‘harpazo’ and means to be plucked out, taken up or snatched away quickly. Harpazo translated into Latin is ‘rapio’ from where we get our English word ‘Rapture’, however, in the Bible it is usually translated as ‘caught up‘. Most all Bible translations use the phase ‘caught up’, but a few say ‘carried away’, ‘caught away together’, ‘taken in the clouds’, or ‘taken up together’. So there you have it, when the trumpet sounds, those who belong to Christ will be given their new immortal bodies and caught up, or taken away to the Father’s house in Heaven for a royal wedding.